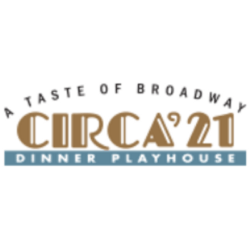 Circa ’21 Dinner Playhouse, Rock Island, IL has an immediate vacancy for a Resident TD/Master Carpenter. Must be experienced & able to work independently, without direct supervision; have superior building & organizational skills; broad knowledge of all areas of technical theatre and experience with short changeovers very helpful; opportunity to design; year round, 334 seat, dinner theatre in converted 1920’s vaudeville house, 180 miles west of Chicago; 5‐7 mainstage & 3 children’s productions/year. Please email cover letter & resume to dpjh@circa21.com with availability date and contact information for 2 professional references. Job Categories: Theatre. Job Types: Full-Time. Job Tags: carpentry, director, stage, technical, and theatre. States: Illinois. Job listing expires in 2 days.